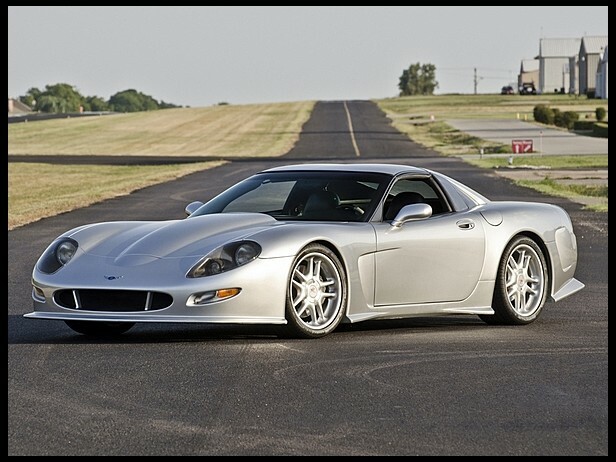 From 1994 through the beginning of 1997 Callaway Cars, Inc. and Callaway Competition GmbH pursued a project to design, construct and campaign a super high performance GT automobile. The goal was to broadcast the capability of the Callaway organizations in the areas of complete car construction. This car is not really a Corvette, but has certain aspects of it. Besides that: if you take apart the C5R, you won't find much standard Corvette parts either! The Callaway C7 was designed to be a competition car with a road car derivative. Two cars were built for competition at Daytona and Le Mans. As of 1997 changes in the international motor racing regulations made the project unfeasible to continue. However, several of the projects objectives were met, and the cars remain as one of the high water marks for Callaway's overall reputation as a car manufacturer. What follows is the original text written at the time of planning and construction of the prototypes. We have left the original text unmodified so that the reader may get some insight into the original objectives and judge how well the goals were accomplished. "The Callaway C7 is a 680 hp, front mid-engine, rear transaxle, rear drive, two seat sports GT, constructed in carbon fiber and weighing less than 2500 pounds. The Callaway C7 concept and execution is consistent with GT1 practice of the day resulting in medium complexity and extreme light weight. The use of modern materials and Callaway's tight focus on mechanical integrity has created a most exciting sports-racing car. This automobile embodies the four traditionally important elements of successful sports cars: power, simplicity, character, and beauty. Automotive performance is defined by a simple concept: power to weight. The Callaway C7 was designed to be the most powerful, lightest weight sports GT commercially available. All memorable automobiles have been powerful. From the Stutz Bearcat to the Shelby Cobra, the cars that we admire and remember today are the ones that were powerful in their day. The Callaway C7 has a power/ weight ratio of 3.6 pounds per horsepower. By comparison the McLaren F1 in road trim has over 4 lbs/hp and the Ferrari F40 is more than 6 lbs./hp. The Callaway engine is a naturally aspirated 6.8 liter Callaway aluminum V-8 similar to the SuperNatural powerplant developed for the Callaway Corvette. In racing trim, it produces over 680 hp limited by the air restrictor mandated for LeMans. The engine configuration represents the most straightforward method of achieving high power and reliability. The Callaway C7's mission, to win GT Endurance races, requires that the car be extremely simple. Simply designed, simple in construction, simple to work on and simple to repair. Every element of the Callaway C7 is prejudiced to minimize weight and volume and to promote efficiency. The target weight for the road version is 1000 kg. To accomplish this ambitious goal, each detail of the vehicle accomplishes multiple functions. For instance, the central carbon fiber monocoque is the chassis structure, the fuel tank and the seating. We have reduced the vehicle to a remarkably pure and functional device. Desirable cars have shared a common element, they have been one man's concept of the automobile. The Callaway C7 is Reeves Callaway's vision of the ideal vehicle: powerful, simple, beautiful, and lightweight. The Callaway C7's styling at once both evokes the traditional powerful cars of our time and reflects the functional requirements of GT racing. The construction in carbon fiber by Callaway Competition in Germany brings the extraordinary talents of Karl-Heinz Knapp, Ernst Woehr, and Giovanni Ciccone to this automobile. As with all Callaway cars, the look of the Callaway C7 is central to its design. The body styling is by Paul Deutschman who has been responsible for the styling of the Callaway SledgeHammer, the Callaway AeroBody, the Callaway Speedster, and the dramatic and successful Callaway SuperNatural Corvette LM that raced at Le Mans in 1994 and 1995. Many successful production cars have either stemmed from competition cars, or used competition as an important part of their development plan. The organizers of the 24 Hours of Le Mans, the A.C.O. (Automobile Club de l'Ouest), and the FIA, have created a set of regulations for Grand Touring cars that are specifically drawn to make the GT cars competitive for overall victory in the world's most important endurance races. These changes created the opportunity for Callaway Competition to race the Callaway SuperNatural Corvette Le Mans in 1994 and 1995, winning the Le Mans GT2 pole both years and finishing second and third in class, and ninth and eleventh overall, in 1995. The Callaway C7 is a completely new and original construction, not related to the Callaway Corvette, intended to take full advantage of the A.C.O. Le Mans regulations in the most competitive class, GT1. The sports-racing version of the Callaway C7, the C7R, will debut in international GT endurance events in 1997. The focus of the competition program will be development of the Callaway C7. Callaway will then offer a road going version, the Callaway C7S, to enthusiasts worldwide. It will be directly derived from the Callaway C7R's racing experience. Callaway will campaign the C7 during the '97 competition season and devote the year to the development of the racing version. Simultaneously, the road version will be undergoing homologation, compliance testing, and production engineering. Customer cars, in both C7R and C7S versions, will be scheduled for delivery in 1998. Orders for both the Callaway C7R and C7S are now being accepted.